As you all know from reading here and following me on Instagram, I am huge fan of TurtleMade Spindles. Coming back to spindle spinning after working on a wheel for so long has opened up a world for me that I never knew existed, at least not in a cerebral way – by this I mean, in a thinking about, engaging in, having conversations about spindle spinning way. In less than two months, I have bought quite a few spindles. It’s unusual for me to add to my tools and stash in a quick way like I have done but there are so many spindles and spindle-makers out there! Turkish spindles seem to be enjoying a sort of renaissance at the moment. Why? Some love them for their compact design – when the spinning is finished, they slip apart for storage and travel. They don’t spin as quickly as other spindles due to the placement of the whorl and the shape but wow – do they make lovely yarns. The weight of the spindle pulls the fibre out but once it’s plied, washed and dried? The finished yarns are bouncy and airy with lovely twist. Sampling some Icelandic on my Turkish spindles – the resulting yarn is perfect! Low twist, lofty and light. Turkish spindles differ from bottom or top whorl spindles in that they have ‘arms’ that slip into one another and the shaft is then slipped in to anchor the arms together. To spin, one can spin a leader to start with or begin with a piece of commercial yarn knotted from the bottom, then the yarn is secured at the top with a half-hitch or hook. Generally, the top of the shaft is shaped so that spinner can place a half-hitch to begin spinning. 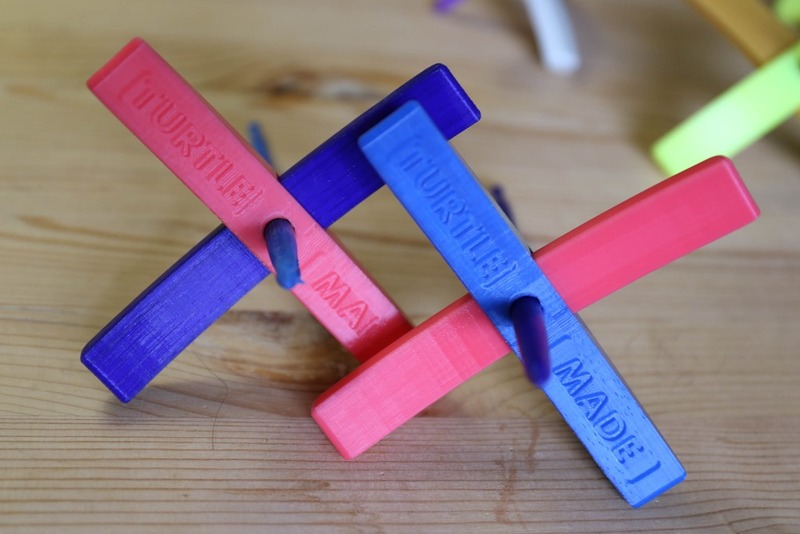 From there, the cop is wound by creating an ‘over two, under one’ pattern and if you’ve seen Turkish Spindles on Instagram (search #turkishspindles), you will also have seen beautifully wound turtles/cops! I don’t tend to slow down to wind my cops in this layered way for these reasons, but they sure are beautiful! Although I have yet to be able to find my starting point, many ply from their turtles as a centre-pull ball. There is a quick and simple reason why I love these particular spindles so much. They are awesome to start on and grow from there. An expert spindle spinner would have a wonderful time playing with these spindles because they are balanced and wonderful tools to work on. A beginner won’t be worried about dropping it because it’s plastic – you don’t have to worry! If dropped, yes, the shaft will get a bit lodged in the arms but that is the case with all Turkish spindles if they are dropped so it is a little tight to push them apart when you are taking off your finished ‘turtle’. 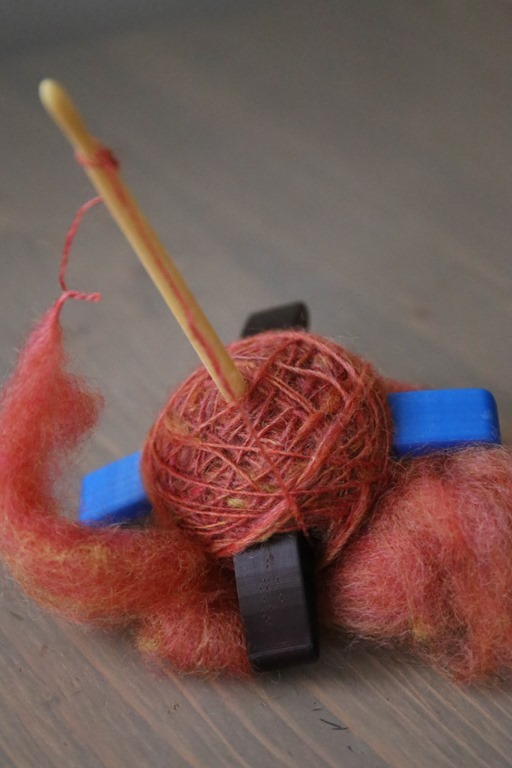 The standard size TurtleMade spindles are 30-34 grams, which is a perfect medium-weight spindle to create lovely yarns – most spindle teachers recommend starting on a spindle 30-40 grams in weight, whether it’s a bottom or top whorl spindle. 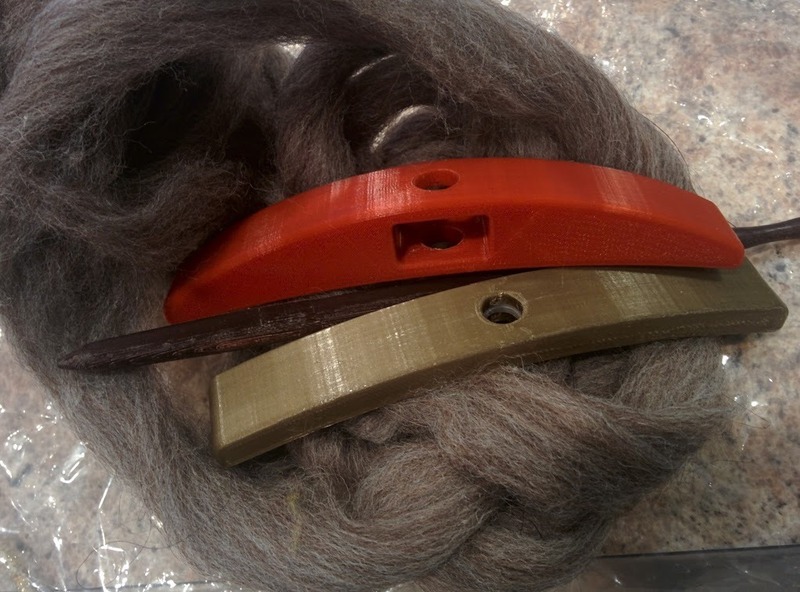 If you are a spindle spinner already, you will notice that spindles are not always the cheapest tool. There are spindles out there that retail for $200CAD! But for my workhorse spindles, I want to spend a moderate amount for a useful, good quality tool that I can replace if it is lost or damaged, or if a friend wants to learn then buy the spindle from me (I can then replace it without feeling as though I’ve lost something valuable!). Although I’m not in the USA, these spindles (even with our terrible exchange at this time!) are really affordable – buying a couple doesn’t break the bank or cause me anxiety! You may chuckle at that but when making a spinning wheel purchase, you want to know that what you’re buying will stand the test of time! If I accidentally leave this somewhere, I’ll be upset because I’ll lose my spinning on it but thankfully, it will be easily replaced. Jen has been lovely to work with – my curious and sometimes grumpy toddler chewed the end of one of my newly ordered shafts but Jen had a replacement in the mail for me right-quick. The ordering was easy! At a recent fibre festival here in the Greater Vancouver area, I saw a coral colour that I was kicking myself later I didn’t buy. I contacted Jen and she was able to send me two arms (one large, one small) in that limited edition colour! Prompt feedback and help is something I look for in my online buying experience because unlike in a store, there is no physical person there! Being able to communicate quickly through online interactions is really important. 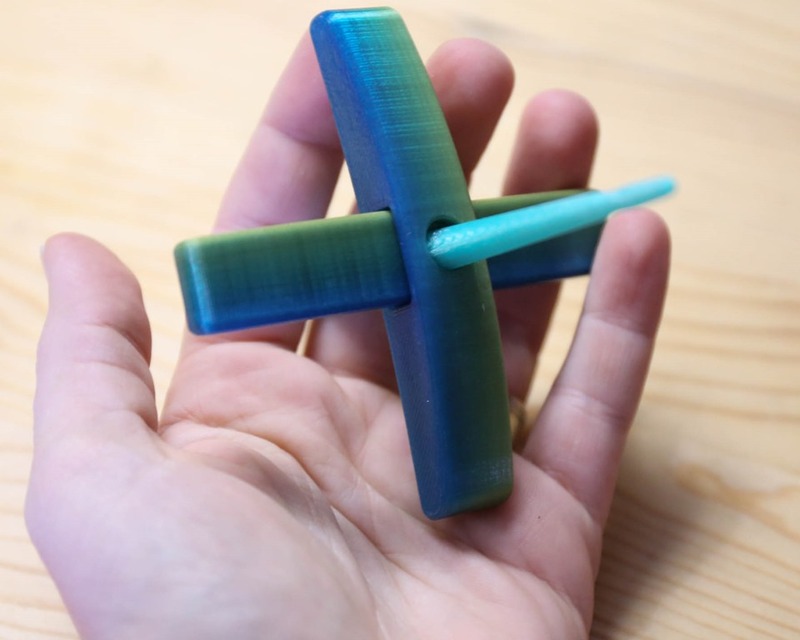 A micro gradient spindle giveaway that fits in the palm of my hand! 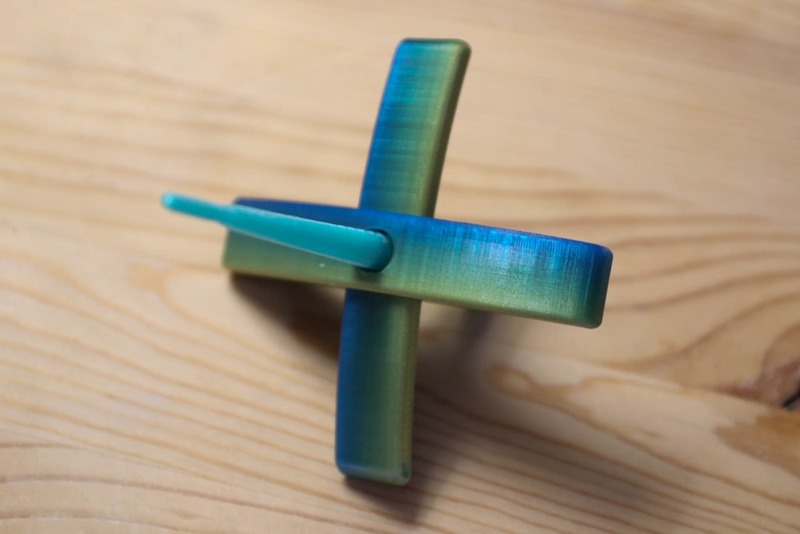 To get the word out there about these spindles, Jen has generously offered a giveaway for you guys! 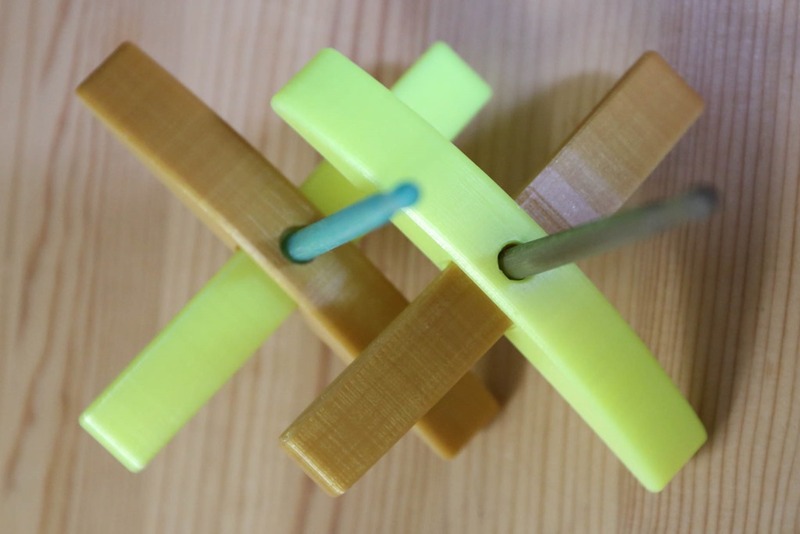 In addition to dyeing yarn, printing niddy-noddies, standard spindles and other items, Jen makes the coolest micro spindles. AND, she’s offered one of her gradient spindles at that! To enter, leave a comment below telling us what about spindle spinning you love most! Good luck! I’ll draw a winner and announce it on the blog on May 25th! Thank you to Jen for this amazing giveaway – I hope you guys will head over to her shop and check out more of her items. For me, spindling is like a wormhole through history. It connects me to all the people who have spun fiber throughout time. I love that I am part of a thousands year old tradition. It’s also surprising and meditative. Just a joy! 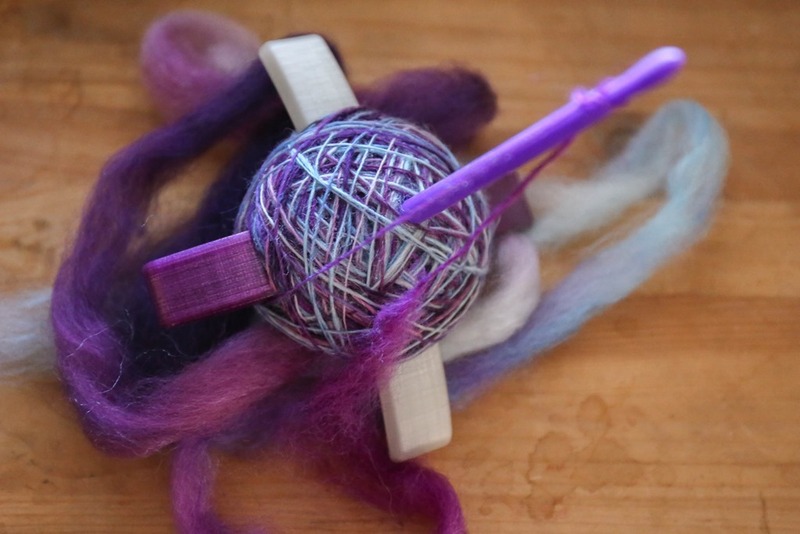 Spindle spinning is perfect for those moments when you only have 5-10 minutes to be crafty. Just pick up and spin…although then it is admittedly hard to put back down again! Spinning to me is not just relaxing, it is exciting with endless possibilities, it satisfies a creative urge and it connects me with the past. I like my spindle because i can go anywhere with it and i have more control on what i am doing . My biggest fun is spinning outside while watching the hens. so portable and easy storage! so fun! I’d love to try out a turkish spindle as I’ve only got a top whorl spindle. I love the portability of a spindle. Thanks for the giveaway! I love the feel of fiber drafting out between my fingers of my fiber-holding hand. I learned how to spin on spindles and like that they allow me to spin wherever I wish. With wheel-spinning (which I am still learning), I’m more anchored to one spot–particularly since my best wheel-spinning chairs are in my livingroom. For me spindle-spinning is intimate and meditative. i love how it’s really all about the fiber, a simple tool and energy… kind of a life force thing! Spindle spinning has helped me to understand the principles of spinning and to really get the feel of the yarn I am spinning. It’s calm rhythmicity is soothing and it’s simplicity is always a talking point when I spin in public. The portability of spinning for sure! 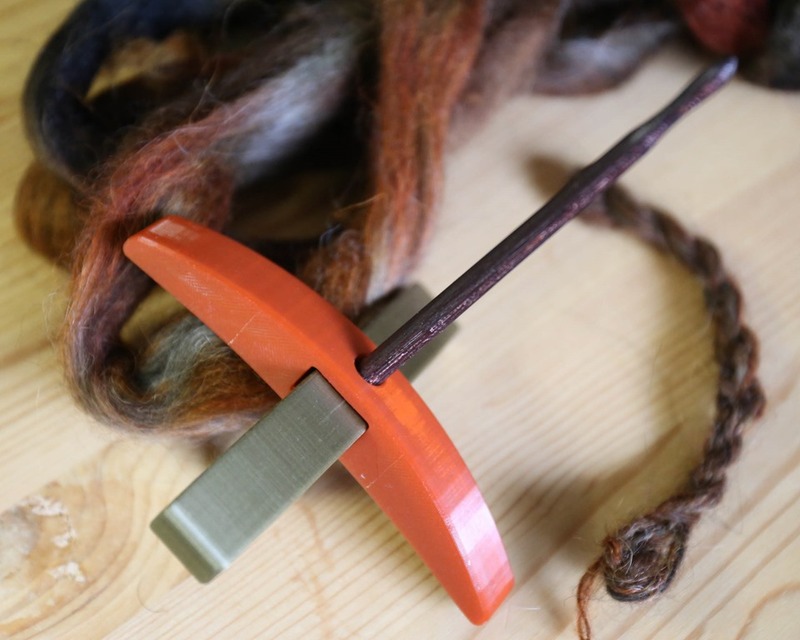 Spindling is grassroots spinning, and so portable. 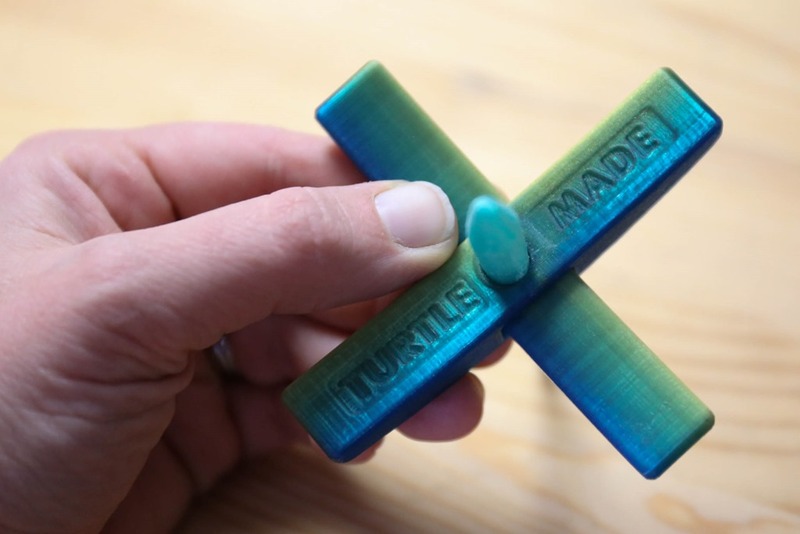 A TurtleMade spindle, melds new age 3D printing with an ancient tool & craft – amazing! I love the portability of spindle spinning. And spindle spinning with the turkish i love even more due to the way the little turtles look and how easy the are to ply together. 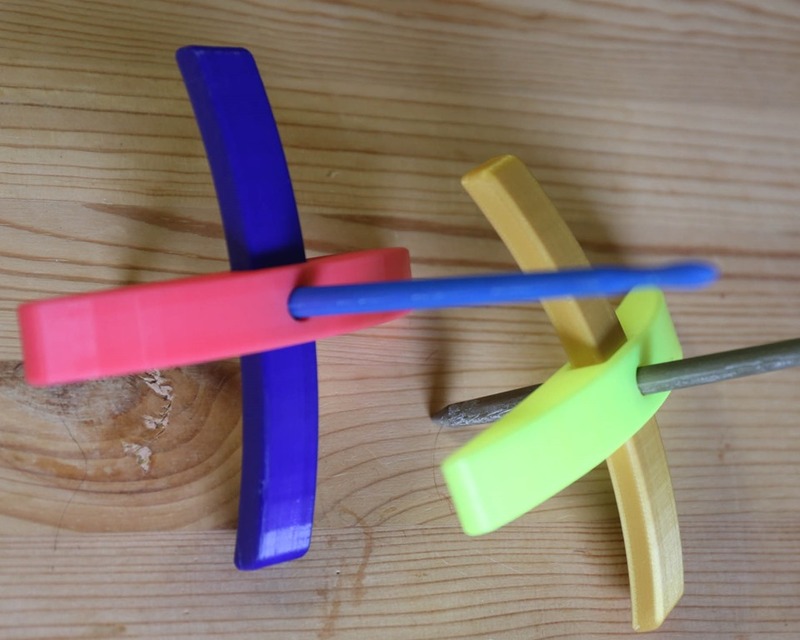 Spindle spinning is even more mesmerizing than wheel spinning! It feels more magical and I like that it is slower and calmer. I love hold the wool and the spindle in my hand and imagining the finished product. A pair of socks, a pair of fingerless mitts or perhaps a small bag for a friends spinning wheel. Then I close my eyes and the magic begins the spindle drops and begins to turn, round and round the yarn grows and the closer I get to the imagined project. I learned to spin on a drop spindle. Going back to it brings me back to where I began this fibery passion. I love drop spindles for the portability. I also find it to be very meditative. I love the rhythm of spindling. I need to do more. My Matchless is upstairs in my craft room and it’s not very convenient to lug it downstairs. But, I can spin out in my backyard, in the sunshine, with one of my spindles. Spindle spinning is all I do and I love it! My favourite kind of spindle spinning is on a turkish spindle. I love how pretty the turtle is as you are spinning and winding the yarn around the arms and the ease of plying from the turtle suits me well. I live in a humid climate- on the island of Japan- and so TurtleMade spindles are perfect. I own the standard size she makes and I love it! As you know, I’ve been a long time spindle hater…but I think that had a lot more to do with using a crappy spindle, and having a production outlook on crafting than the actual spinning on a spindle. After spinning on that turk yesterday, I loved how meditative it was! I think I may just be a convert. It’s been really interesting reading through the comments on this post to see why people love to spin on a spindle. I find I pay more attention to the fiber when I spindle spin as opposed to wheel spinning. It’s not better or worse, just different and I like that.